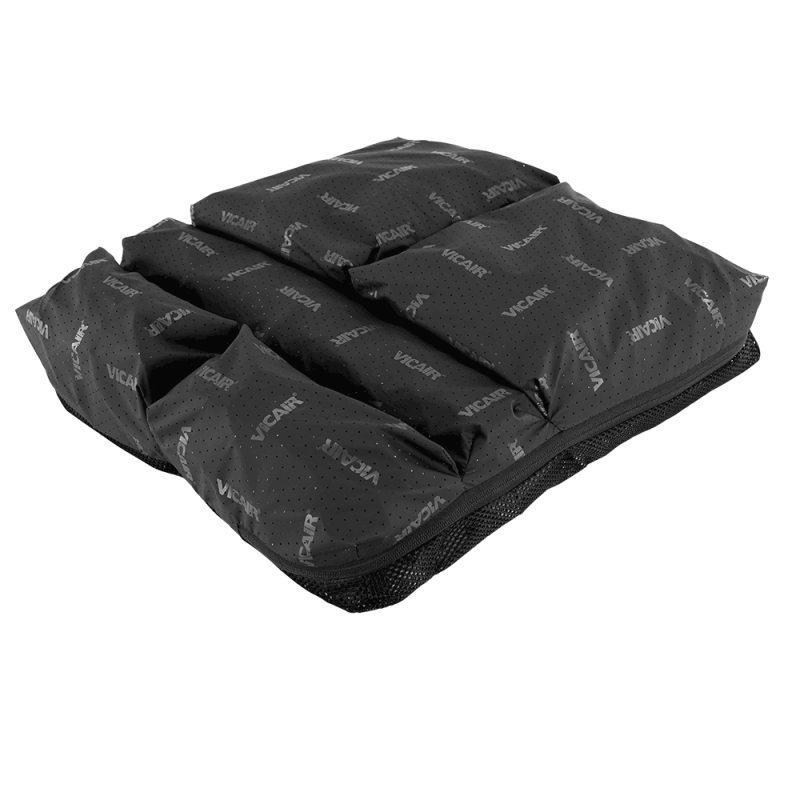 The wheelchair cushion Vicair Adjuster O2 is suitable for use with asymmetric body contours and amputations. It automatically manages small obliquities and is individually adjustable to support more extreme asymmetry. The design allows total immersion to equally redistribute pressure and prevents sliding forward. 100% machine washable and breathable, for optimal hygiene and perfect temperature and moisture regulation. As a result the Adjuster O2 offers you optimal protection against skin breakdown. Call 604-821-0075 or request details about the Vicair Adjuster O2 Cushion using the form below. Question about the Vicair Adjuster O2 Cushion ?